An agent from De Montfort University, will contact you shortly with more information. 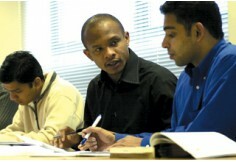 Applicants for the programme must normally be at least 23 years of age at enrolment, and be able to demonstrate the following an undergraduate degree in any discipline, with a minimum pass of a Second Class Honours or an equivalent overseas qualification Or an equivalent professional qualification And Two years full-time (or equivalent pro-rata) work experience. A candidate with a lower level of qualification equivalent to a Third Class degree may also be considered, provided they achieve a GMAT score of 550 or more. The MBA brings to the fore current thinking in management education and will develop critical thinkers with effective problem solving skills at managerial level. 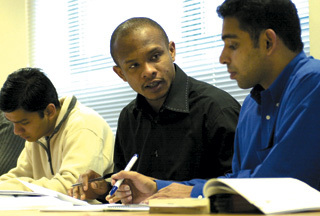 An induction programme covers the fundamentals of management education - a refresher for business graduates or an introduction for non-business graduates. Core modules then broaden and critically examine key business and management fundamentals, integrated by modules in strategic management, the linchpin modules equipping participants with the ability to think conceptually and holistically. Participants will also undertake several optional modules, allowing for focus in a particular field such as finance, HRM or marketing, or a more general management focus. The In-company Project option is an alternative to the traditional research-based dissertation and offers participants the challenging opportunity to complete a 12 week strategic management project based in a UK company or organisation. In addition to this option students will have the opportunity (but not the necessity) to link their project or dissertation to a 3-month or 12-month work placement. 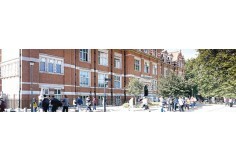 The Leicester Business School MBA is competitively priced.